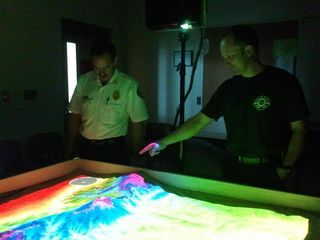 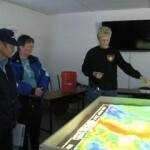 Local firefighters from Santa Fe County help educate their communities on potential fire risks. 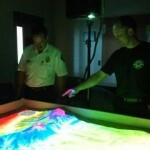 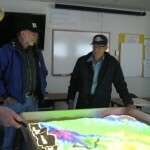 Using Simtable, a 3D map of neighborhoods and local terrain is instantly projected with up-to-date satellite imagery of structures and streets color coded with Firewise ratings, giving citizens and first responders a bird’s-eye view and ground level simulation of their community. 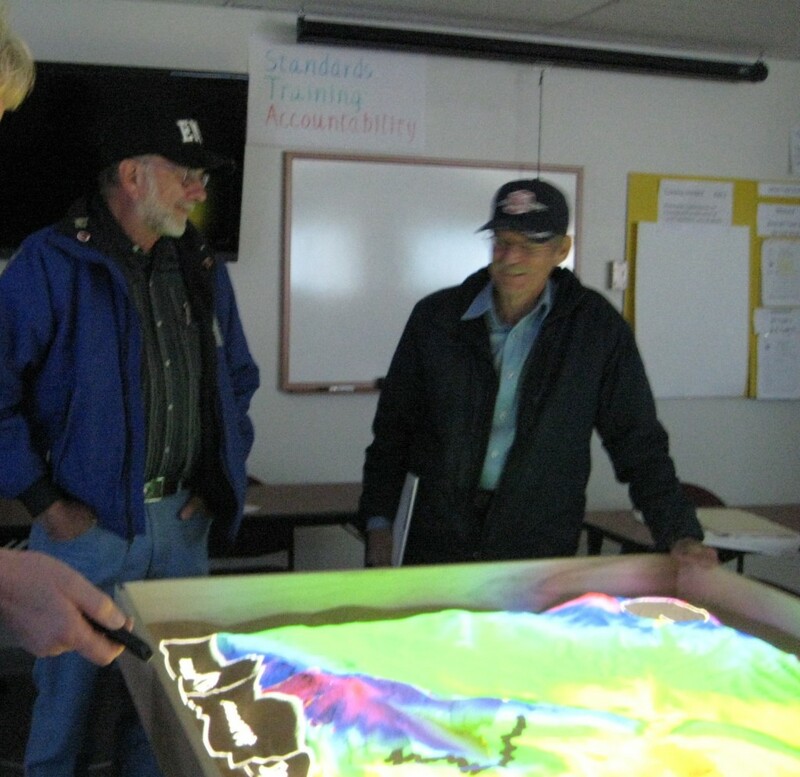 Simtable allows citizens to easily operate and collaborate in the planning, training and outreach needed to deliver effective emergency management plans for their communities. 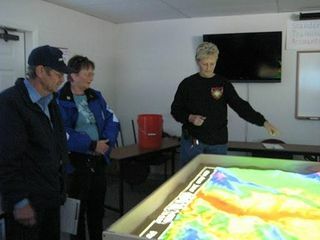 Simtable educates the public about fire behavior and all hazards management in their own neighborhoods and simulates mitigation plans and scenarios.